Middleton's all too short career began as an apprentice with the club he supported as a boy, Sheffield Wednesday. Despite becoming a member of the first team squad, he did not make an appearance for the Owls and moved to Bradford City in 1968. He spent four years there and played over 130 games for the club. After a transfer to Bolton Wanderers fell through at the last minute, Middleton was brought to Argyle in a swap deal involving Ronnie Brown. He scored a superb solo goal on his Home Park debut before returning to Yorkshire to visit family ahead of a fixture at Blackburn the following week. He had just called Argyle to discuss the travel arrangements for the game when he was hit by a car and rushed to hospital. Middleton had suffered severe back injuries and it was feared that he might not be able to walk again, let alone play football. However, after months of rest and treatment, he came through pre-season training and looked to be on the verge of a comeback. After scoring twice in a reserve game, he took a knock on his back and this led to medical advice to quit the game. Unwilling to accept defeat, he continued to try to regain his fitness but was eventually released by the club. 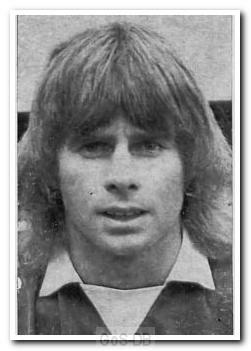 He attempted a further comeback with Stafford Rangers in 1975, but was again unable to cope with the physical demands of the sport and reluctantly announced his retirement. Argyle and the PFA offered as much support as they could and a testimonial was arranged against Manchester United at Home Park. Unknown to all but a few, Middleton was suffering chronic depression and did not attend his own testimonial game, his father appearing on his behalf. In April 1977, perhaps the most tragic of all Argyle stories came to an end when he took his life.